Who has a package of M&Ms laying around? Aren't they just asking to be mixed into these yummy cookies? I love this recipe. It is super quick and easy with only a few ingredients. A great treat to make for last minute guests or gathering. The cake mix keeps them soft and moist. Hope they go as fast in your house as they did in mine. 1. Mix together cake mix, eggs, oil and water until well combined. Stir in M&Ms. Thanks so much for stopping by my blog and commenting after finding me on the blog hop. I'm also following you back on Facebook too. I love M&M cookies but I never have a bag of M&Ms laying around and even when I do buy a bag in for the special event, my fella, the giant man-baby inhales them before I even get a chance to use them. He's a total chocolate fiend! 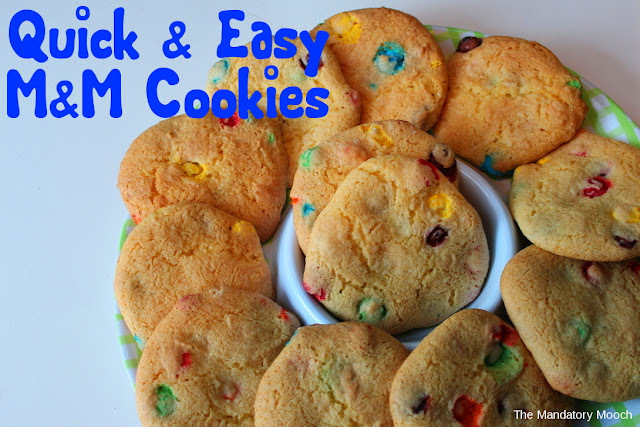 I'd love if you could link up these M&M cookies and any other dessert creations on my weekly link party - Sugar & Slice Sunday. I think I love M&M cookies because they are so colorful. These look very good! 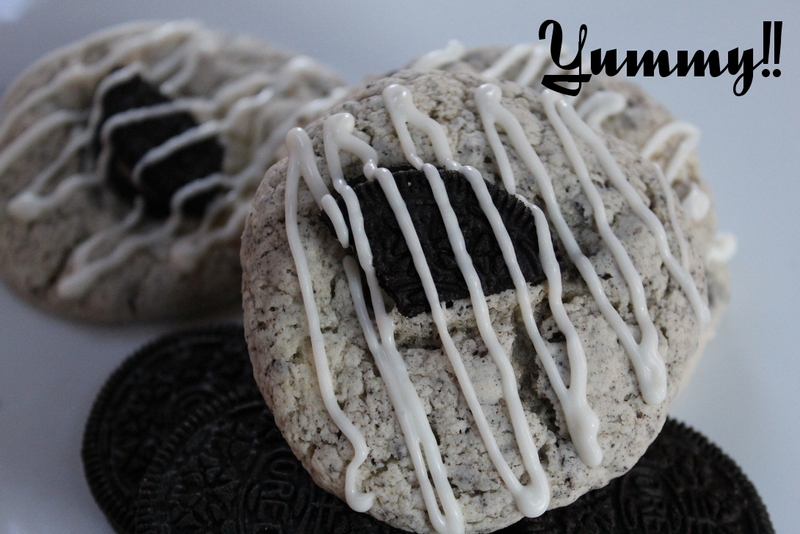 Thanks for sharing on "I Gotta Try That"
Yumm - like the cake mix shortcut too! Thanks so much for sharing on Busy Monday! My kiddies love these kind of cookies! So YUMMY! Thanks so much for linking up to Heavenly Treats Sunday Link Party! These cookies belong in my Cookie Jar, they look delicious. Hope you are having a great weekend and thank you so much for sharing with Full Plate Thursday. Oh I love how easy they are. So perfect for last minute baking!